The Torque News team has been covering the Ford Ranger from every angle since before it was announced as an official model. During the development of the new U.S. midsized Ranger truck, Marc Stern and I realized that it was very likely that Ford would partner with another company to maximize its investment in the Ranger. Marc recently broke the news that one Ford partner for the Ranger will be Volkswagen. Please see his coverage, "VW-Ford Alliance To Spawn New Pickup, It Just Won’t Get Here Now, Later, Who Knows?" We have speculated previously on which brand or brands might partner with Ford to offer a private label version of the Ranger here in Ford's home market. The last partner to do so was Mazda. See our prior story, "Which Brand Needs A Re-Badged 2019 Ford Ranger Most Badly?" After doing our own analysis, we concluded that VW would be the most likely candidate. 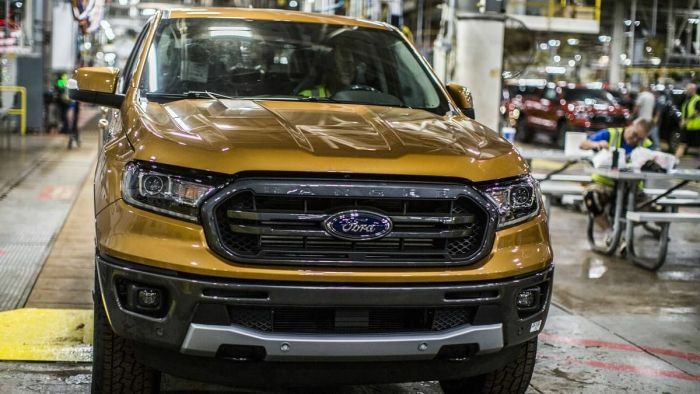 We spoke to the folks at Frost and Sullivan, the PR / Consulting group that is handling PR for Ford and asked for more information on the partnership to find out if VW would be private labeling the truck in North America. We are fairly certain that Ford will private label its Ranger to another company as part of its total Ranger program. Mark Fitzgerald, Director - CASE Consulting, Intelligent Mobility at Frost & Sullivan, told us this morning that the current plan only includes having Ford engineer and build the Ford Ranger, and a version of that truck will be marketed separately by each company. Mark says, "Ford will continue to market the vehicle in the North American market while Volkswagen will market the pickup in Europe and South America." So for now, the plan does not include having VW offer a private-label Ranger in North America. We don't have any information from any automaker or PR firm that confirms that VW will private label the Ranger for the North American market. However, this latest news makes us think that once Ford has the Ranger production up and running, it will likely expand this partnership to include a re-badged Ranger sold as a VW model in North America. Our best guess for the time frame? We say January 2021. Check back in a couple years to see how clear our crystal ball is.